I’m pretty vocal about cake. Notably about not liking most cakes. If I eat a cupcake, it’s for the salted buttercream frosting. If I eat a layer cake, it’s either because I’m starving or I can’t resist a sugar rush. 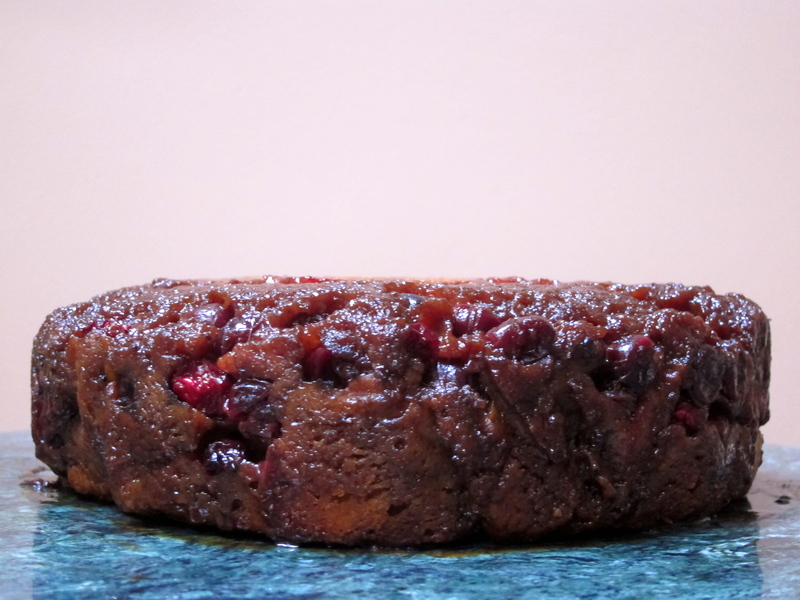 But if I slice off a sliver of a dense, vanilla cake topped with gooey, caramelized brown sugar and sticky, candylike, tart cranberries and pop it on top of the toaster for added warmth and crunch, you can believe that I really want to eat that cake. I made this back in late-November but somehow December has turned into a whirlwind of papers and projects and now finally, just as winter break is about to start, internship applications and you never saw it. Somehow (don’t look at me!) nothing has been posted in almost half a month. And I’m here to rectify this, because really if you wanted to stray from the cranberry sauce but stick to the cranberries, this showstopper wouldn’t be out of place on your holiday dessert table. 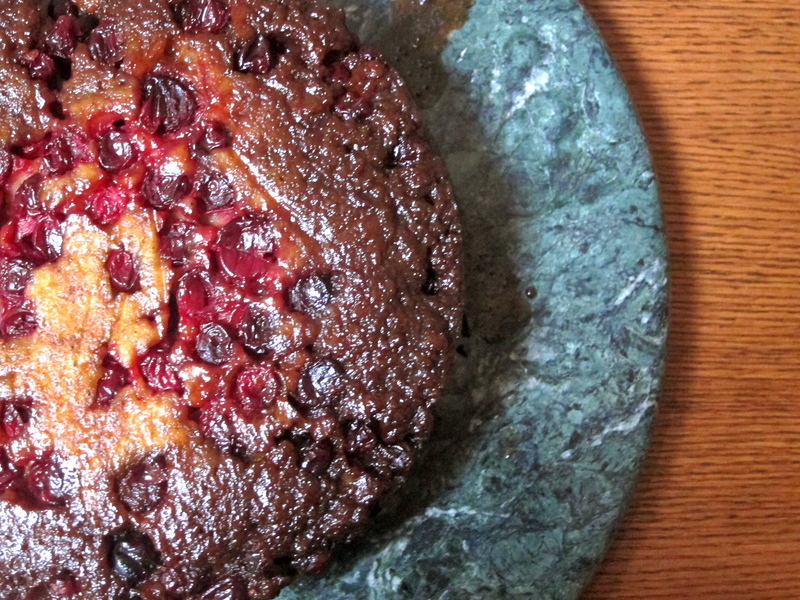 Sure it has imperfections; the bright cranberries balloon out on the surface like tiny pieces of confetti tossed in the air, the sticky sugar top (or bottom depending on how you look at) flows like syrup around everything in sight when you flip the pan, and it is so laden with fruit and liquid that the cake itself threatens to split down the middle when still warm if you don’t call in reinforcements. But the eye won’t be able to stray from it to the other competing desserts on the table. This I swear. Plus, who doesn’t like cake you can toast and eat for breakfast for days afterward? You are currently browsing entries tagged with holiday desserts at Soufflé Days.